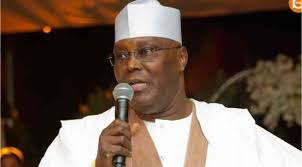 Former Vice President and chieftain of the ruling All Progressives Congress APC, Atiku Abubakar has charged Nigerian to assist President Muhammadu Buhari succeed in the onerous task of national development rather than focusing on needless distractions. Welcoming the president back home after his medical leave in the United Kingdom, the Wazirin Adamawa in a statement made available to journalists Monday in Abuja said “every well meaning Nigerian should be happy with the recovery of the President”. According to him, a healthy and stronger Buhari would be able to concentrate more vigorously on the task of implementing his campaign promises to Nigerians. The former vice president noted that the task of governance is so enormous that the country should celebrate the return of the President.